You can define as many customized graphs as you want from your NeoLoad project. Each graph can display several curves. Prerequisite: You need to run a build before being able to add custom graphs. 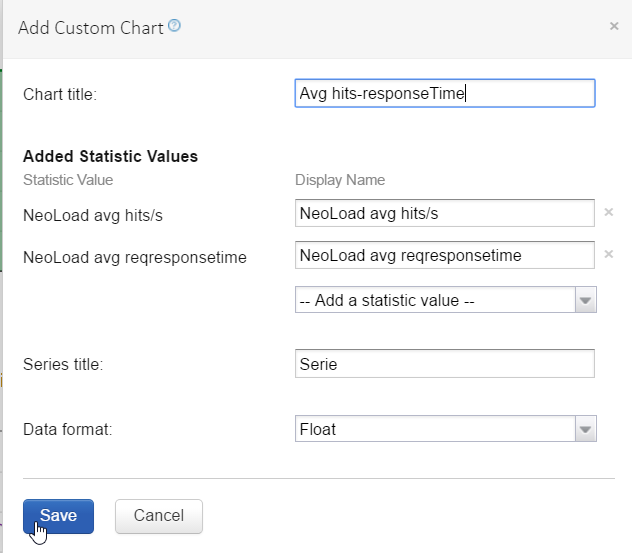 Select the job where you want to execute a NeoLoad scenario and select the Statistics tab. Tip: NeoLoad statistics names are prefixed with "NeoLoad". In Add a statistic value, select a statistic value for each curve you want to trace in the graph.